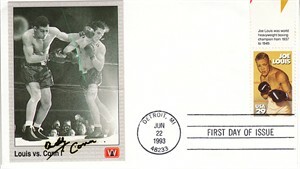 All World boxing card autographed in thin black marker by the late light heavyweight champion Billy Conn, mounted on a 1993 Joe Louis stamp First Day Cover. 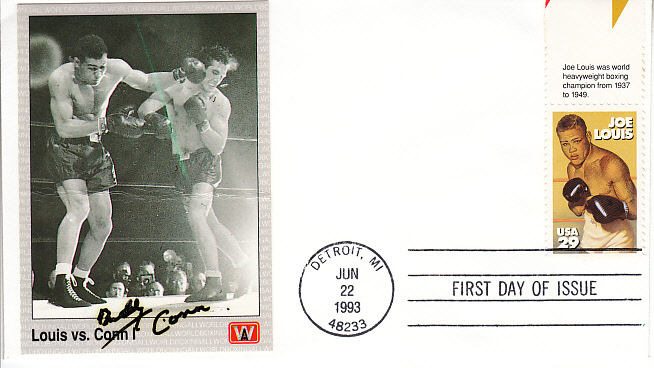 NOTE: card has heavy horizontal crease. With certificate of authenticity from AutographsForSale.com. ONLY ONE LEFT.